Preheat oven to 350 degrees F. Butter a 13x9-inch baking dish. In a medium mixing bowl, sift together flour, baking powder, salt, cinnamon, ginger, clove and nutmeg. In a large mixing bowl, using a mixer on medium speed, beat together 1/2 cup butter and brown sugar until creamy - about 1 minute; beat in egg, 1 teaspoon vanilla, apple and applesauce until well combined - about 1 minute. Reduce mixer speed to low and beat in flour mixture until combined. Spread batter into prepared pan. Bake for 35-40 minutes or until golden brown. Cool completely on a wire rack. To make the caramel glaze, melt 6 tablespoons butter in a small saucepan over medium heat; cook for 3-4 minutes or until butter foams and turns golden brown. Reduce heat to low and stir in caramels and milk until melted; whisk in confectioners' sugar, vanilla and salt until combined. 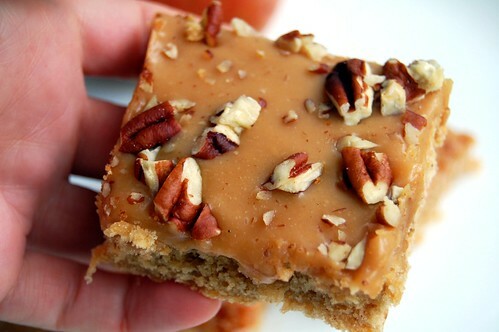 Pour and spread glaze over the top of apple bars; evenly sprinkle with pecans. Cool completely before slicing. 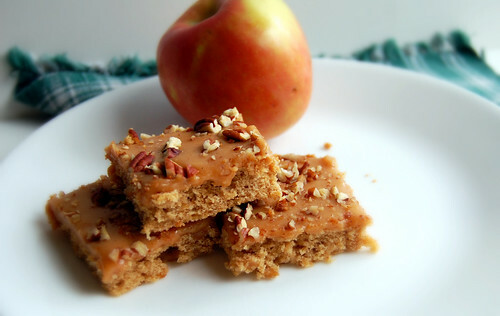 39 comments on "Caramel Apple Bars"
I agree, they look glorious, Emily!! MMMMMMMMMMMMMMMMMMMMMMMMMMMMMMMMMMMMMM,...I would like to savour at least 2 ,even that is is midnight!!! Such a good idea! I can never be bothered with caramel apples, but I would definitely want these! Yum! My hips will hate you for this but my mouth will love you:) This sounds and looks delicious...yum! These look amazingly awesome and I am actually gone to attempt making these! I am following you on Twitter! Ugh, I wish I could follow you on Twitter, but I changed my username, and now I can't even log in. One week and no tweets, and the Twitter people will not email me back. Again, ugh! I was so disappointed there wasn't a new "real" Top Chef on this week. Your caramel apple bars would have cheered me right up though - YUM! These look great!! I often wonder if I would like to Twitter. For now I'm going to say NO. Keep us posted on how it goes. yum! these look so good! I am just like you with the twitter thing- got an account over a year ago then forgot to update for oh, I don't know, 10 months... then I just decided to get back on like a week ago! i'm ashamed to confess that i often pass on recipes using wrapped caramels because i'm too lazy to unwrap them. isn't that pathetic? gosh, i'm embarrassed to even write it down. i believe it'd be worth it for your creation here though--nicely done! These look so good. I'm in search of a new recipe to take to work for our Thanksgiving feast. I thought the Top Chef All-Stars Dinner was a yawner too. I have a love-hate relationship with all the social networks including Facebook. I have a Twitter account too but never use it. Maybe one day! 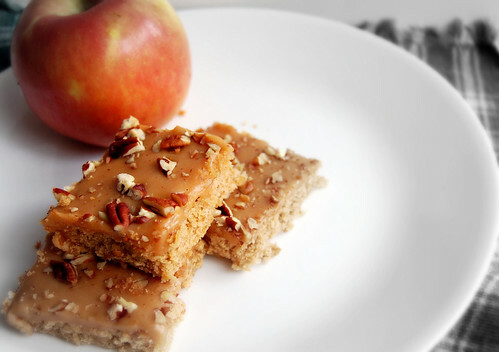 Your caramel apple bars look great! Perfect for this time of year (really anytime is a good time for these!). Thanks for the shoutout. There was a bunch of hilarious tweets DURING the Top Chef reunion by http://twitter.com/lillyj. So funny. Did watching Paula help or hurt your workout? If you haven't wrapped up the brownies yet, please leave a little space for these. They seem perfect for the season. All you need to do is mention caramel apple and I'm ready to try it. I thought the reunion dinner was a snooze too. I'm on twitter too, but really think it's more for businesses- or perhaps some close friends who need to tell each other exactly what they are doing every minute. I check it out once in a while and mention my blog. That's about it. I am on Facebook more often. Those look beautiful. I'll have to make them soon. Twitter is lots of fun, but I'm wordy and have trouble with the 140character restriction at times. I refuse to twitter. I don't know why- I facebook and obviously blog but I've never even checked out twitter. I guess I don't feel my life interesting enough to just randomly write a status every few hours. I already spend too much time on the computer - I know if I signed up for Twitter, I'd never get off! These bars sound sooo delicious! 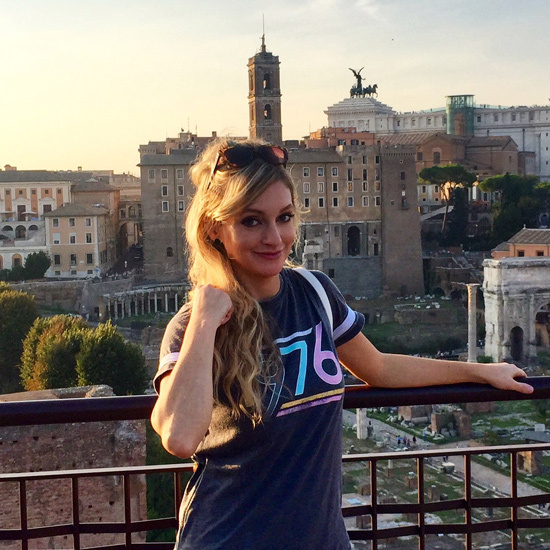 I read your blog a lot and am one of those creepy readers who never comments, but decided it was time! You should try golden crisp apples if you haven't before. They are probably the most perfect apple - so crispy, juicy, everything an apple should be. Twitter is good for getting news or following celebrities and feeling like you actually know them! That's what I mainly use it for. Caramel apple bars? this is briliant. Your bars look fabulous! I love anything with caramel and apples combined. These bars look delish!! How could caramel and apples be bad?? Ever try making your own caramel from scratch, it is heavenly!! I feel the same way about Twitter, I sometime forget about it for days. But I'm glad you're there again. You know what I wouldn't forget? If I had those bars close by, ahahah! Yay, no apple chunks but grated apple instead? I have twitter and almost never use it? How do you accomplish (WORK!) anything if you're tweeting all day long? If you figure it out do tell! Twitter is the one social site I'm not on! I'm afraid if I joined I would never get off it. I'd just tweet every thought in my head. 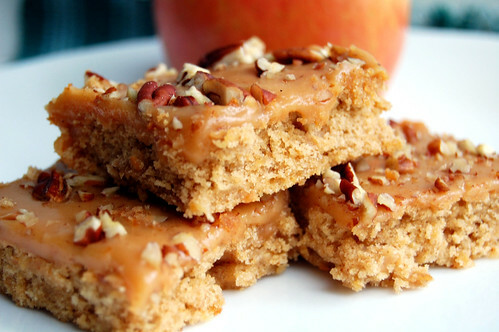 Caramel apple bars look fantastic. I wish I still had all of those apples. I spend a lot of time watching Food Network when I'm on the cardio machines at the gym. Go figure. I am glad you are on Twitter:) Love the bars! These look amazing Em - caramel and apple are two of my favourite flavours in baked goods. I don't have a Twitter account - I am already dazed and confused by my email, blog and Facebook accounts. HEAB, that sounds like a pain in the neck. What are you going to do? Sue, hmmm I think it motivated me to be healthier. Brownies were shipped weeks ago. Erica, hello! You're not creepy. Say hi more often. I am on the lookout for Golden Crisp apples now. They sound great! Rachel, that is true. I love all of your facebook statuses though.